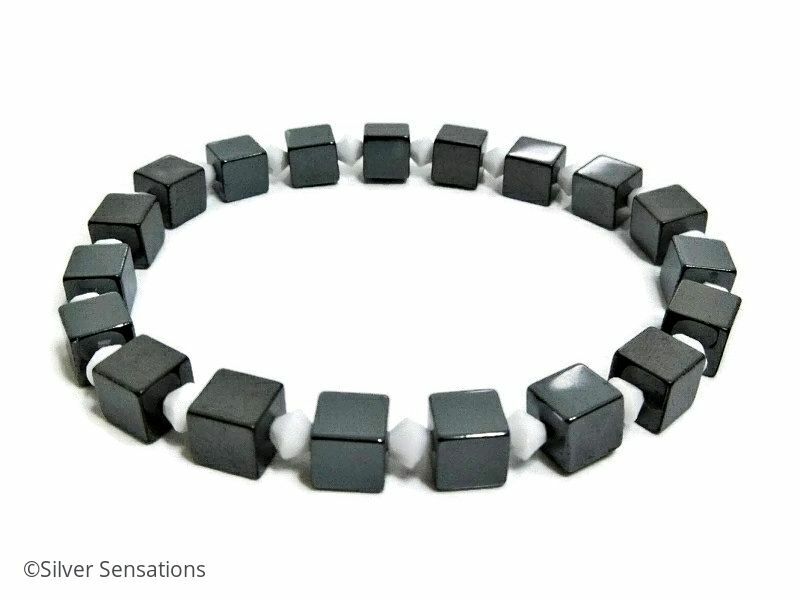 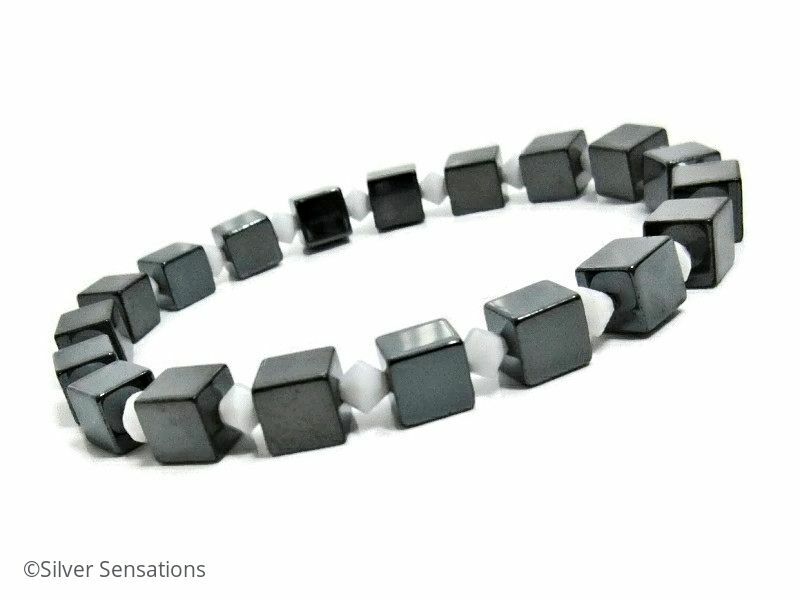 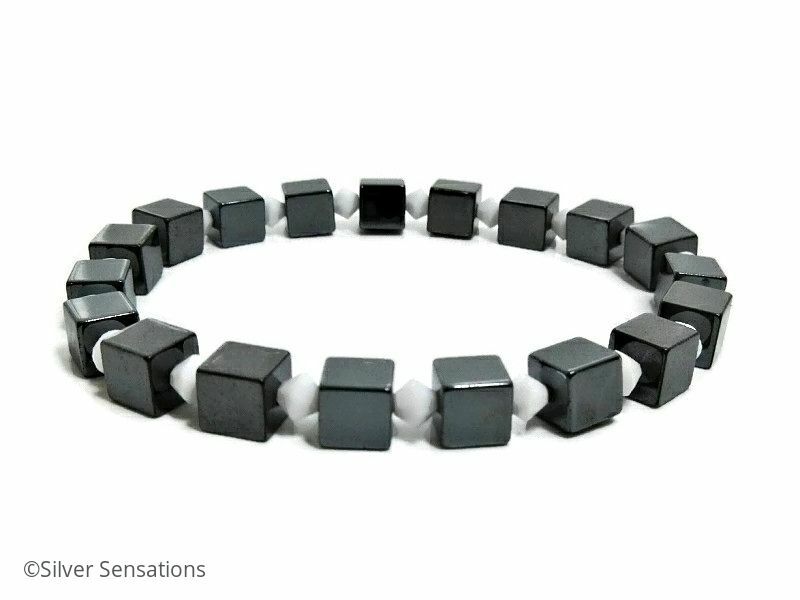 For this Unisex handmade stretchy bracelet I chose 6mm Hematite cube beads alternating with bright white Swarovski Crystals. 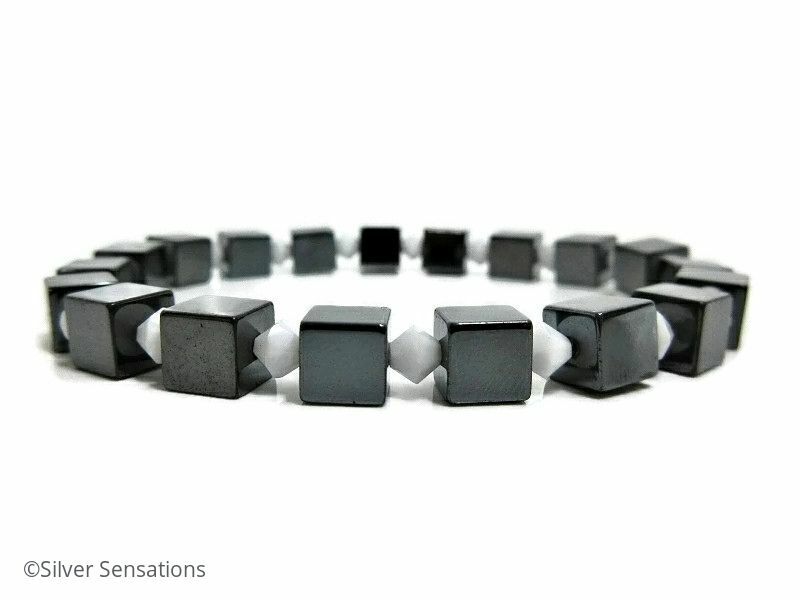 These contrasting colours create a monochrome look for this edgy bracelet which has a wearing fit of approximately 7.25" - 7.5". 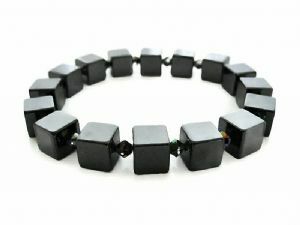 Due to the design of this bracelet - it can be worn by men & women alike. 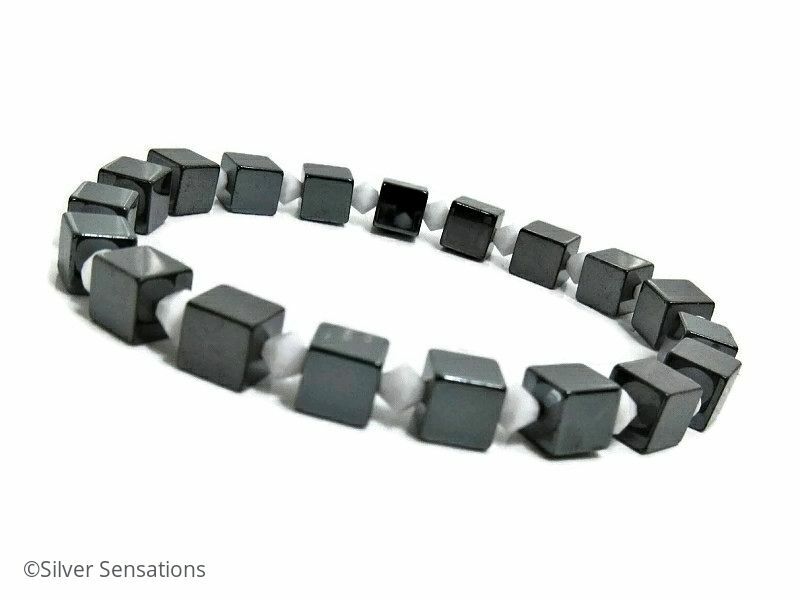 The Hematite beads I've used in this stretch bracelet are non magnetic which means it can be worn by anyone.